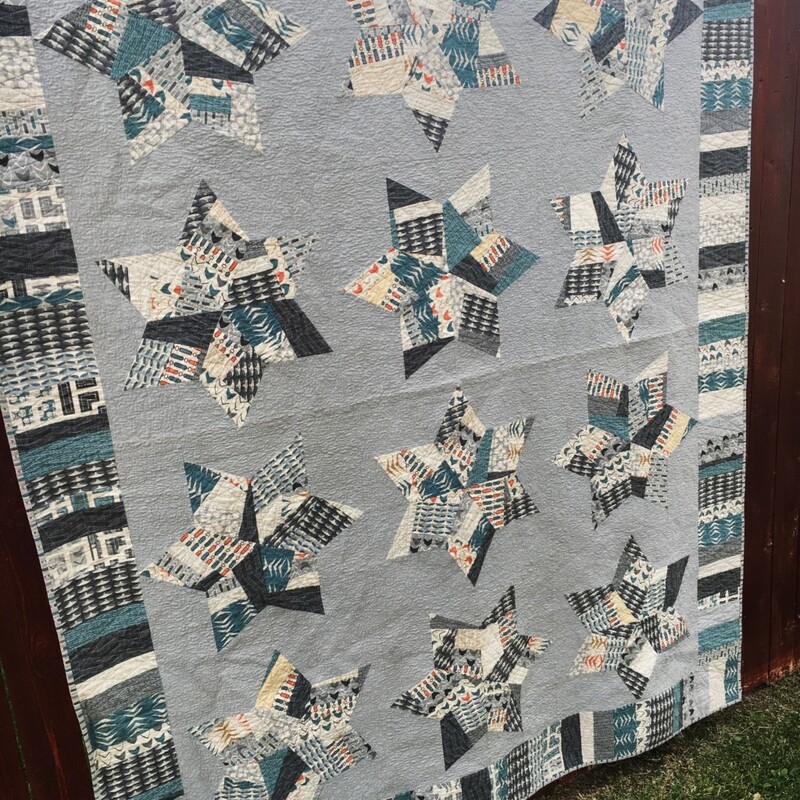 Splendid Stars is my entry into the current Blogger’s Quilt Festival! 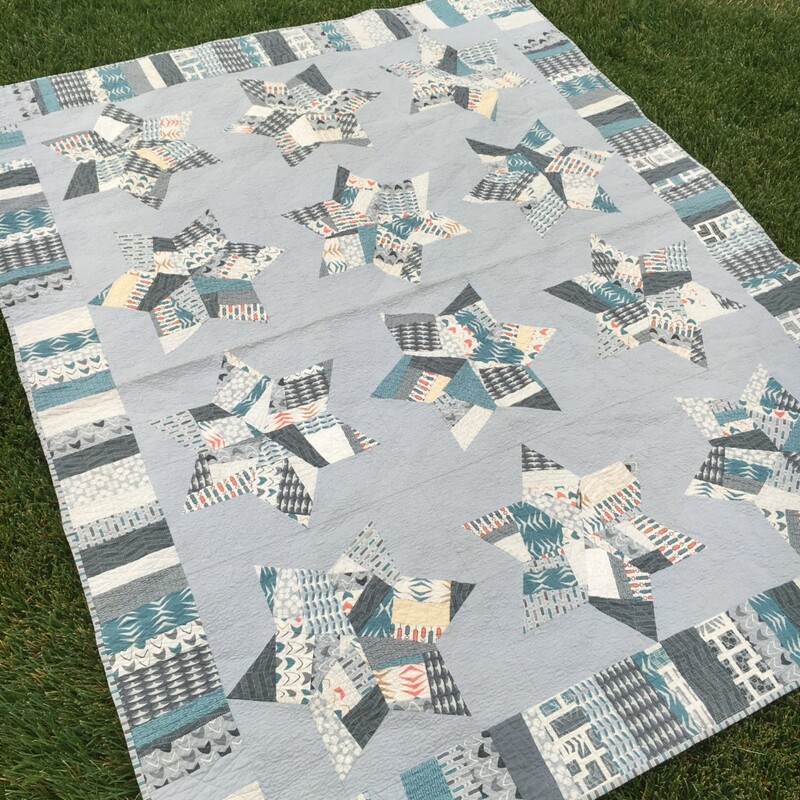 I made my Splendid Stars quilt in late 2014 for an episode of Love of Quilting, once it was back in my possession we put it to use right away. It’s one of the quilts I’m constantly refolding in the living room, or asking the kids to fold. I love using my quilts but I never took any beauty shots of my own, so today I fixed that! 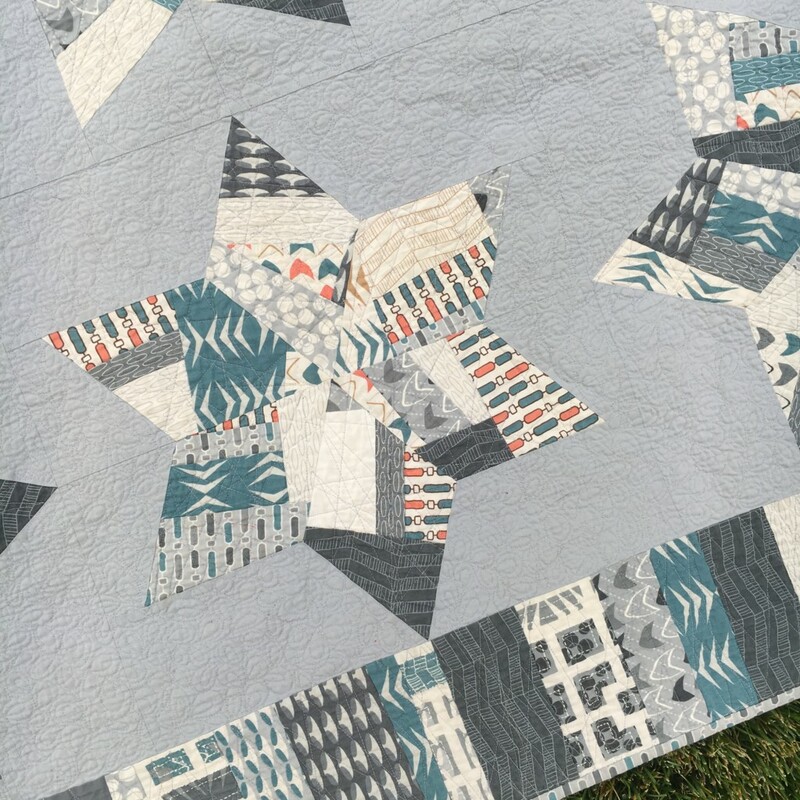 Splendid Stars was designed in an effort to use up a huge box of scraps from my first fabric line, Modern Neutrals. With all the scrap fabric that I had, I pieced roughly 6″x 9″ of scraps into one piece of “fabric” that I could then cut with a 60-degree diamond ruler. Deciding which piece of fabric to add to the grouping next was really fun and a great exercise for me since I usually cut everything, then chain-piece the quilt top. I incorporated a few solids to give the eye a resting place within the stars, but mostly just had fun with it! The borders were also pieced with scraps, I sewed all the randomly sized strips together, and cut them down to size to frame the quilt. To quilt the quilt, I used two different ideas, in the grey background fabric I quilted little scallops, and in the scrappy spaces I bounced the needle between the edges of the star or border. 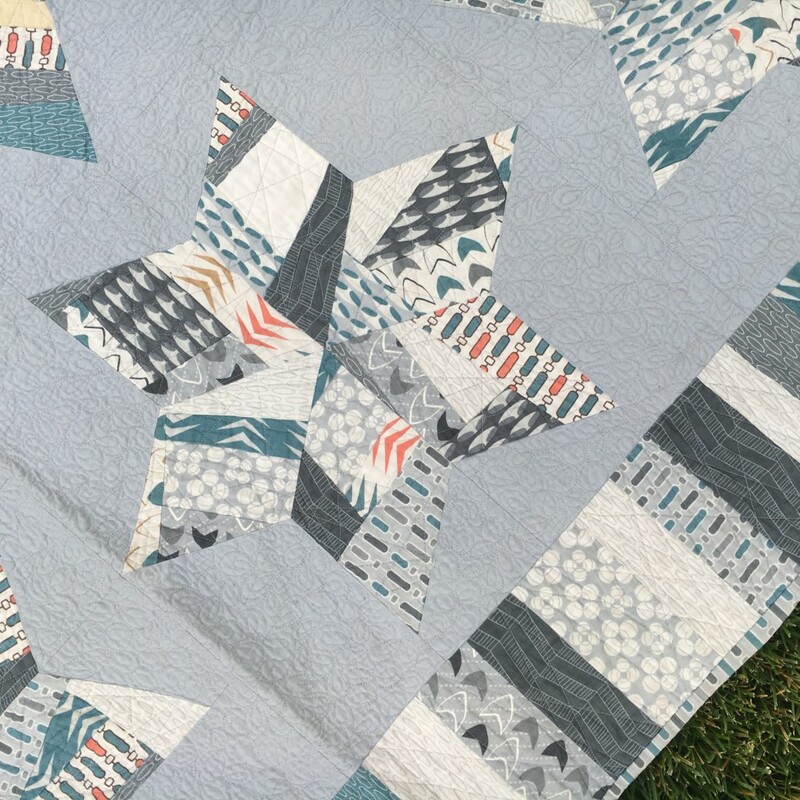 It was fun to echo the chaos in the piecing in the quilting a little, and it gives the whole quilt a more modern flair, even though it’s a traditional star block. Overall the quilt measures, 66″ x 84″, with 18″ star blocks it went together pretty quickly too! You can check out the episode with Mary Fons and myself via DVD or check your local listings for the 2500 series. This is beautiful Amy! The scrappiness of the stars is really appealing. The scraps make your stars look like multi-faceted jewels – they have a twinkle in them despite being made of neutrals. Beautiful effect overall. Any, is this pieced or appliqué. I love it!